(International Herald Tribune) - With the four-month-old increase in American troops showing only modest success in curbing insurgent attacks, American commanders are turning to another strategy that they acknowledge is fraught with risk: arming Sunni Arab groups that have promised to fight militants linked with Al Qaeda who have been their allies in the past. American commanders say they have successfully tested the strategy in Anbar Province west of Baghdad and have held talks with Sunni groups in at least four areas of central and north-central Iraq where the insurgency has been strong. In some cases, the American commanders say, the Sunni groups are suspected of involvement in past attacks on American troops or of links to such groups. Some of these groups, they say, have been provided, usually through Iraqi military units allied with the Americans, with arms, ammunition, cash, fuel and supplies. American officers who have engaged in what they call outreach to the Sunni groups say many of them have had past links to Al Qaeda in Mesopotamia but grew disillusioned with the Islamic militants' extremist tactics, particularly suicide bombings that have killed thousands of Iraqi civilians. In exchange for American backing, these officials say, the Sunni groups have agreed to fight Al Qaeda and halt attacks on American units. Commanders who have undertaken these negotiations say that in some cases, Sunni groups have agreed to alert American troops to the location of roadside bombs and other lethal boobytraps. But critics of the strategy, including some American officers, say it could amount to the Americans' arming both sides in a future civil war. The United States has spent more than $15 billion in building up Iraq's army and police force, whose manpower of 350,000 is heavily Shiite. 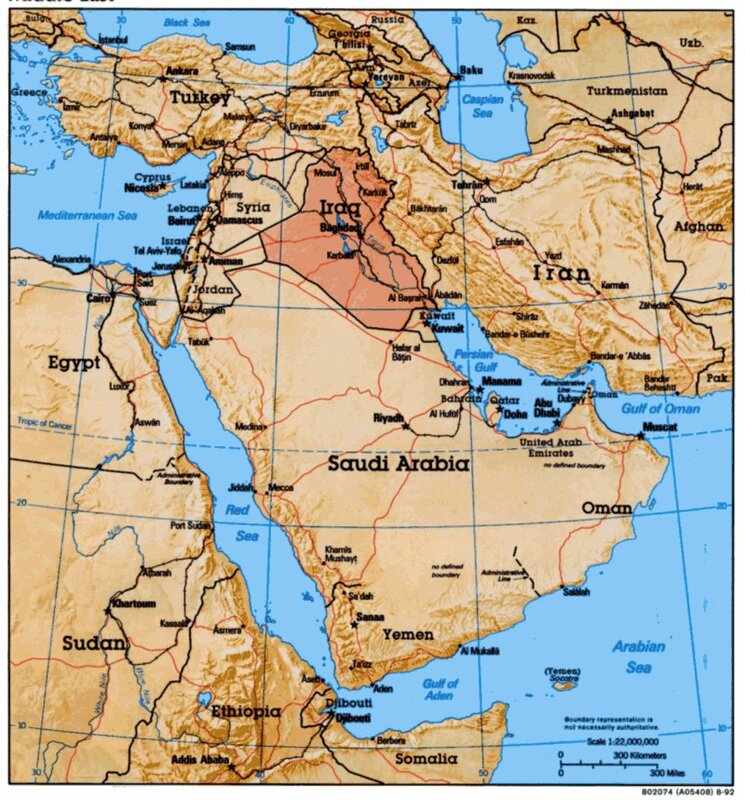 With an American troop drawdown increasingly likely in the next year, and little sign of a political accommodation between Shiite and Sunni politicians in Baghdad, the critics say, there is a risk that any weapons given to Sunni groups will eventually be used against Shiites. There is also the possibility the weapons could be used against the Americans themselves. American field commanders met this month in Baghdad with General David Petraeus, the top American commander in Iraq, to discuss the conditions Sunni groups would have to meet to win American assistance. Senior officers who attended the meeting said that Petraeus and the operational commander who is the second-ranking American officer here, Lieutenant General Raymond Odierno, gave cautious approval to field commanders to negotiate with Sunni groups in their areas. One commander who attended the meeting said that despite the risks entailed in arming groups that have until now fought against the Americans, the potential gains against Al Qaeda were too great to be missed. He said the strategy held out the prospect of finally driving a wedge between two wings of the Sunni insurgency that had previously worked in a devastating alliance — die-hard loyalists of Saddam Hussein's formerly dominant Baath Party, and Islamic militants belonging to a constellation of Qaeda-linked groups. (Iraq Directory) - Iraqi union leaders met with a U.S. congressman they say is their biggest friend in Washington, urging a united front against Iraq's draft oil law. Faleh Abood Umara, general secretary of the Iraq Federation of Oil Unions, and Hashmeya Muhsin Hussein, president of the Electrical Utility Workers Union, called the proposed law a theft of Iraq's oil. "We believe this is a new invasion of our economy and especially to take over our oil fields," Umara told Rep. Dennis Kucinich, D-Ohio, in a private meeting Thursday in the congressman's inner office, which UPI was allowed to attend. Kucinich is a presidential candidate and Congress ' most vocal war opponent. The law, which is stuck in negotiations, is feared by the unions as giving foreign oil companies too much access to Iraq's oil. Umara was one of 10 union leaders for whom arrest warrants were issued earlier this week as Iraqi Prime Minister Nouri al-Maliki responded to a strike of oil workers, who are demanding improved working conditions and a seat at the oil law negotiating table. 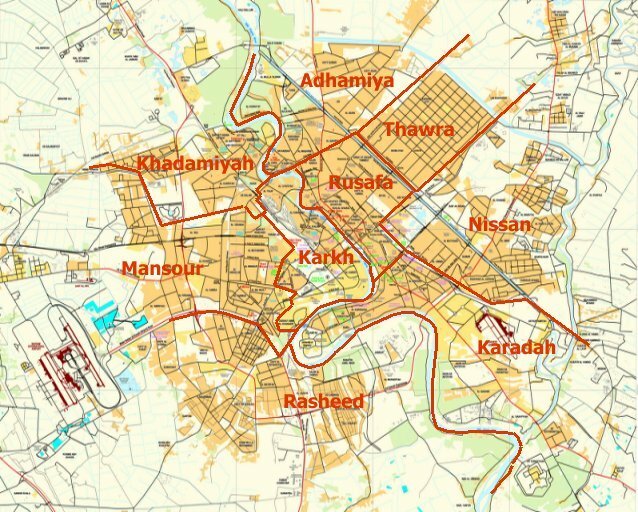 The unions began a strike Monday over the law, as well as working conditions, but the work stoppage has been temporarily halted as negotiations continue in Basra. "Therefore we believe this is a very aggressive act to take over our resources," Umara said. "The oil law, in its current status, does not serve the Iraqi people." Umara said foreign companies were welcome to Iraq's oil sector, but warned it should be limited. The unionists urged the United States, via Kucinich, to oppose the law. President Bush and the Democratic-led Congress have called on the Iraq parliament to pass the law soon, both in official speeches and as part of legislation funding the war through September. "Mr. Kucinich, we see you as a friend of the Iraqi people and that is the general belief over there," Umara said. "We would hope that your government could put pressure on our government to not pass the oil law." Kucinich replied, "Unfortunately our government is putting pressure on your government to pass it." (Voices of Iraq) - Iraqi Shiite cleric Muqtada al-Sadr visited, on Sunday night, top Shiite cleric ayatollah Ali al-Sistani in his office in Najaf and both discussed the latest security and political developments in Iraq, a source from Sistani's office said. "Sayyed Muqtada al-Sadr visited, today at 9:30 pm, Ayatollah Ali al-Sistani and both leaders discussed the political and security situation in the country," the source told the independent news agency Voices of Iraq (VOI). The source gave no further details. Sadr's visit to sistani today is the first since the young Shiite cleric Sadr resurfaced two weeks ago. (Azzaman) - Thousands of families are fleeing the violent-stricken city of Baaquoba ahead of reported military operations by U.S. and Iraqi troops. 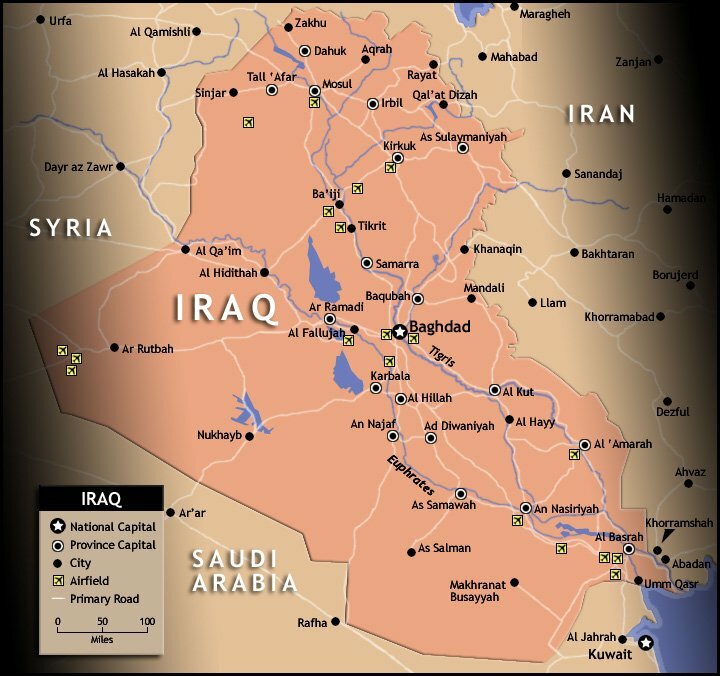 Baaquoba, the capital of Diyala Province, is among the most violent places in Iraq with insurgent groups fighting U.S. troops and at the same time occasionally battling each other. Alaa Saadi, a travel agent in the city, said there has been a marked increase in the number of people wanting to travel abroad. “I think my company carried more people in the past month than the whole of last year,” Saadi said. A provincial official, refusing to be named, criticized U.S. and Iraqi-led operations, saying they have “instilled fear in the hearts of innocent people” since they rely on summary arrests. He said the Qaeda-linked groups have been terrorizing the population, committing “horrible crimes” but the way the operations were carried out in the province has alienated the population. Informed sources said most of Qaeda activists and other groups have already left the city to avoid direct contact with U.S. troops. (Azzaman) - Prime Minister Nouri al-Maliki has asked his military commanders to confront any attempt to topple him as political factions have joined efforts to unseat him. Maliki accused his political opponents of seeking help from abroad to stage what he described as ‘a coup’ against his government. Several political parties with representatives in the parliament are openly opposing the way Maliki has been handling issues related to security but particularly their concerns regarding national reconciliation. “Some parties which are part of the political process are involved in staging a coup against the Iraqi government,” said Sami al-Askari, a senior member of Maliki’s coalition government. Tareq al-Hashemi, a vice-president, and head of the main Sunni faction in parliament, is on a tour of Arab states and has hinted that a new ‘moderate front’ to counterbalance Maliki’s coalition was being formed. Maliki draws most of his support from Kurdish factions who have a large bloc in the parliament. His coalition was dealt a blow when Shiite cleric Moqtada al-Sadr said he was not happy with his performance. A meeting in Cairo which brought together several parties among them small Kurdish factions seems to have unnerved the government. Ayad Allawi, a former prime minister, as well as Hashemi and the leader of a Kurdish Islamic party met in Cairo with the aim of setting up a ‘secular’ government. Maliki is reported to have rushed to Iraqi Kurdistan to secure support from his traditional Kurdish allies, Jalal Talabani, the Iraqi President and Massoud Barzani, head of the Kurdish autonomous region. These factions hope to form a united front against the current government but they still lack backing from within the mainstream Shiite parties. Invitations to attend the Cairo meeting were sent to the Shiite al-Fadhila party which holds power in the southern city of Basra and the more powerful Shiite movement of cleric Moqtada Sadr’s supporters. Amar Wajeeh, a senior member of Hashemi’s Islamic Party, confirmed that a joint front has been established to confront Maliki. He said the front was established in Cairo when it became clear that Maliki and his coalition were thwarting attempts to form a moderate coalition. Wajeeh said the front was still waiting a response from Fadhila and has sent a letter inviting Sadr’s group to join. Wajeeh said there was no truth behind reports that the front was staging a ‘coup.’ He said the front would use democratic means and try to gather enough votes in the parliament to bring about change. (AINA) - Iraqi Foreign Minister Hoshyar Zebari has offered Turkey talks on how to deal with the outlawed Kurdistan Workers' Party (PKK) after his government protested to Turkey about recent shelling of northern Iraq and demanded coordination in the fight against the terrorist group. Zebari told the BBC's Arabic Service that Iraq was ready to talk about the activities of the PKK in northern Iraq, and other matters of concern to Turkey. "We are open to dealing with these positively," he said, "but not via an intensive and large-scale bombardment of border areas." As tensions with Iraq increase over the reported shelling, Iraqi radical Shiite cleric Muqtada al-Sadr -- who commands the Mahdi Army, a militia of tens of thousands of young, impoverished Shiites, who are accused of spearheading a sectarian conflict against Iraq's minority Sunnis -- said "we will not be silent in the face of this threat." Vowing to defend the people of "Kurdistan," Sadr called on the people of Turkey to stop their armed forces from carrying out cross-border shelling in Iraq, in a statement in Najaf. "We are ready to mediate with Turkey to end this crisis. Turkish people have to reject such actions and help to stamp out the fire between the two Muslim nations," Sadr said. "I hope Turkey will not repeat such bombardments of Iraqi territory. It has no right to do it." Iraq says the cross-border attacks have caused widespread damage and undermined relations between the two countries. "We are against any military interventions or violations of borders or the regional security, and all issues are negotiable and can be resolved through dialogue," Zebari said. Turkey has not confirmed any cross-border shelling but it has been building up forces along the border with Iraq. (AFP) -- The White House has backed an eventual withdrawal of most US troops from Iraq after a report said detailed plans are afoot to retain a smaller military presence in the war-torn country for years. The Washington Post said US military officials were in early planning for a "sharp drawdown" of troops beginning by the middle of next year. President George W. Bush's spokesman, Tony Snow, declined to confirm or deny the report but said the immediate onus was on Iraqi authorities to end political discord and insurgent violence. 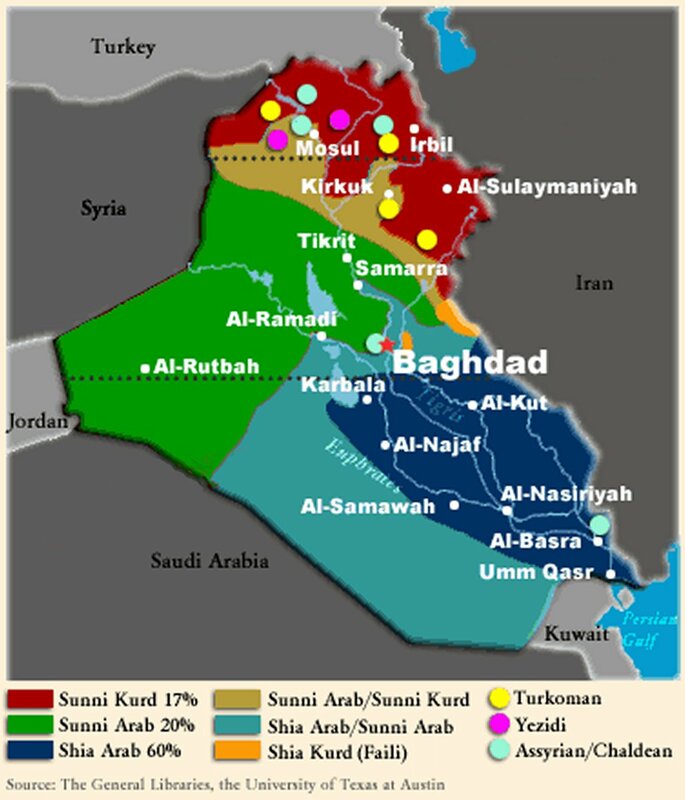 The Post said roughly two-thirds of the current force would leave Iraq by late next year or early 2009, and officials are grappling over the shape and size of a "post-occupation" presence that would last "for years." "At some point certainly we do want to be in a position to be able to pull back," Mr Snow told CBS television, while stressing "that anything that happens on the ground is going to be in response to conditions on the ground." US forces could remain as a rapid-response back-up for "Iraqis handling all the front-line business" of security, the spokesman said. But Iraqi authorities must also "develop the political basis that is going to encourage people to see themselves as part of an Iraqi government and to co-operate in going after insurgents and foreign fighters and others who are trying to blow up the democracy, literally and figuratively." (Al Jazeera) - Britain's next prime minister is meeting Iraqi leaders in a surprise visit following promises to study his country's participation in the conflict. The British embassy said Brown, who is presently the finance minister, arrived in Iraq on Monday for a one-day fact-finding mission and was in talks with Nuri al-Maliki, the Iraqi prime minister. The visit, Brown's second since November, was not announced in advance and was carried out under tight security. Brown will succeed Tony Blair as prime minister later this month, but has not outlined specific policies on Iraq. He stands by the decision to join the US-led invasion of March 2003. Brown was also expected to meet Jalal Talabani, the Iraqi president, Bayan Jabr, finance minister, and Lieutenant-General Graeme Lamb, Britain's senior military officer in the region, a spokesman said. In the UK, the opposition Conservative party has called on the British parliament to back a formal inquiry into Blair's decision to go to war in Iraq. Liam Fox, the Conservative party's defence spokesman in parliament, said: "We want the principle established that there must be an inquiry. It's about making sure we don't make the same mistakes again." Blair has ruled out an inquiry while British troops are deployed in Iraq. The government was expected to defeat the motion, but interest would focus on how many members of Blair's Labour party will back the proposal. At the time the Conservative party supported Blair's decision to back the US-led invasion. (AP) - Parliament voted Monday in a closed session to remove the speaker after a series of scandals involving the controversial lawmaker, legislators said. Mahmoud al-Mashhadani will be replaced by another Sunni Arab, they said. Al-Mashhadani's behavior has repeatedly embarrassed the Sunni Arab partners in Prime Minister Nouri al-Maliki's coalition government. Many of the house's 275 legislators viewed his behavior as unbecoming and, on occasion, erratic. Three lawmakers said the Iraqi Accordance Front, parliament's largest Sunni Arab bloc with 44 of the house's 275 seats, has pledged to offer a replacement for al-Mashhadani within a week. They spoke on condition of anonymity because of the sensitivity of the subject. Al-Mashhadani, a former physician and an Islamist, is a member of the Accordance Front and will retain his seat in parliament, according to the decision. He did not attend Monday's session, which was chaired by his deputy, Shiite Khaled al-Attiyah. The speaker has been in trouble for sometime. Last year, he barely survived a campaign by Shiite and Kurdish politicians to remove him after he said Iraqis who killed American troops should be celebrated as heroes. Last month, he slapped a fellow Sunni lawmaker in the face and called him "scum" at the end of a raucous session.